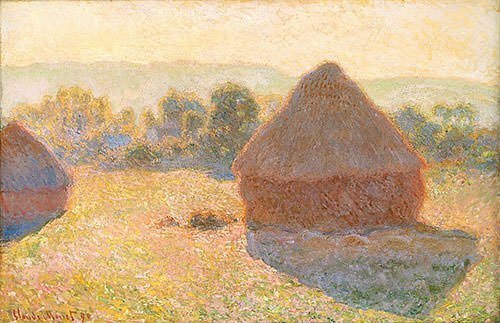 Impressionism emerged in France in the middle of the nineteenth century and Claude Monet is one of the pioneers of this revolutionary art movement. 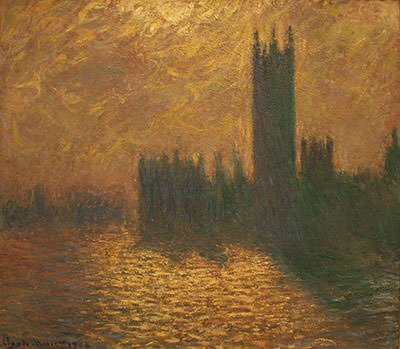 Claude Monet has painted some of the greatest masterpieces of Impressionism and his works has been revered by critics and people alike. 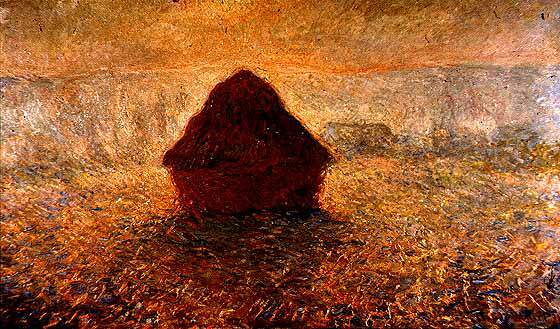 Here are 10 of his most well-known paintings. Note: Please click on the images in the gallery to view them in full size. 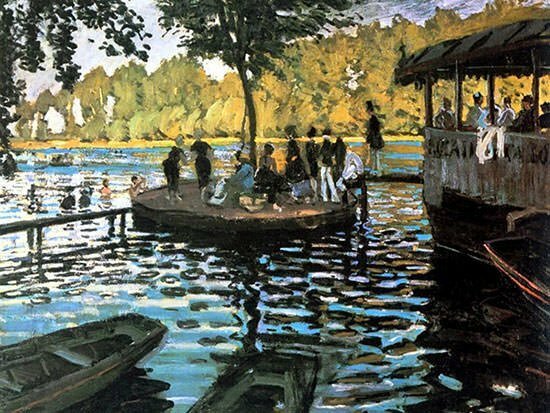 La Grenouillère was a popular middle class boating and bathing resort of those times. 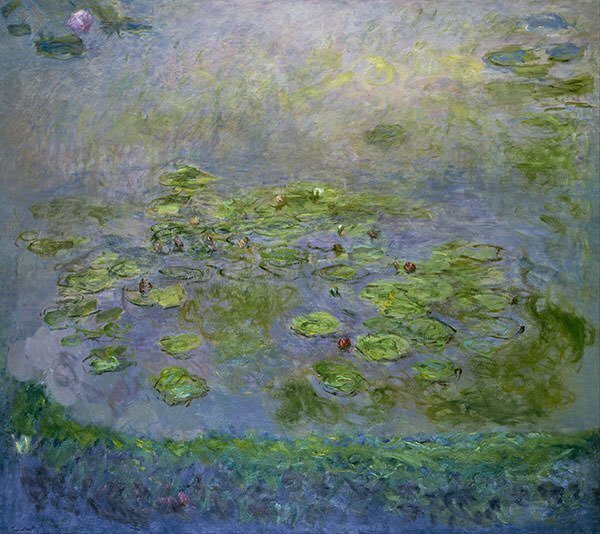 Monet wrote on September 25, 1869, “I do have a dream, a painting, the baths of La Grenouillère, for which I have made some bad sketches, but it is only a dream.” The painting below and one in the London National Gallery are probably one of the sketches with the original tableau having been lost. 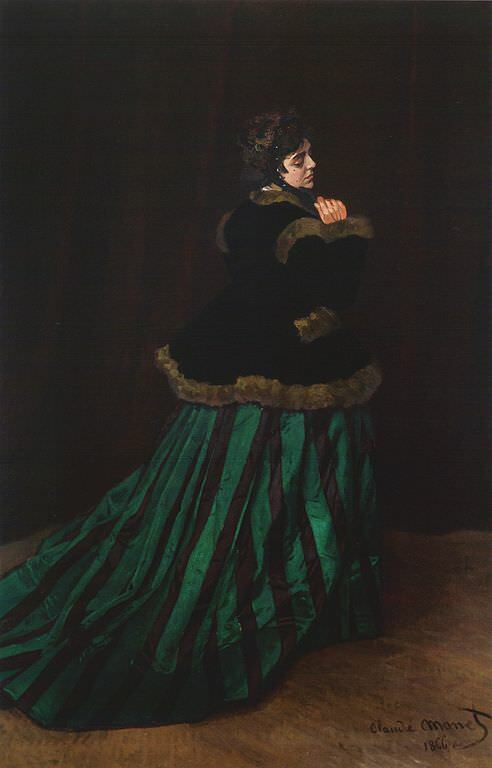 Renoir, who was very close to Monet at the time, also wanted to do this painting. One of his earlier works, this painting depicts his first wife Camille Doncieux with their elder son Jean. 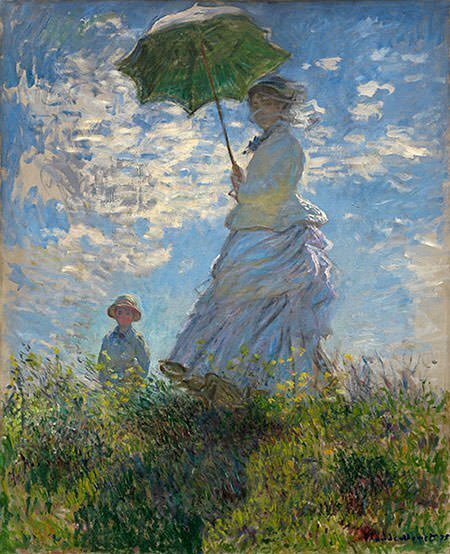 Camille is holding a parasol or a light umbrella and it seems that she is catching a glimpse of someone looking at her. 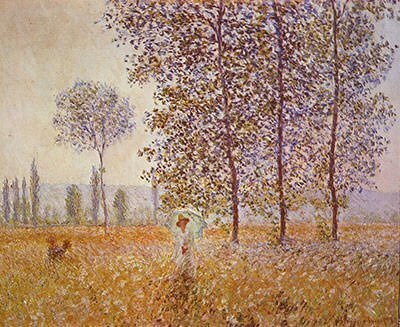 The painting is early evidence of Monet focusing more on light and color as opposed to line and shape. 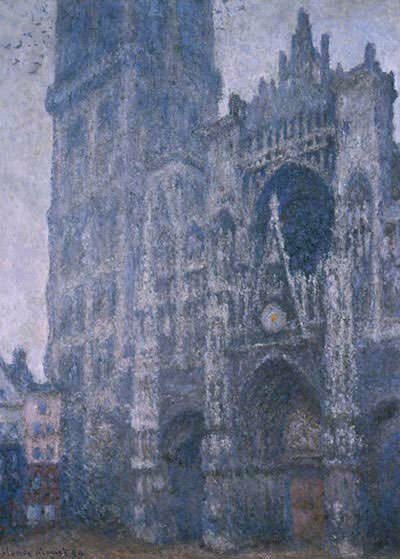 This is the painting that first brought recognition to Monet. 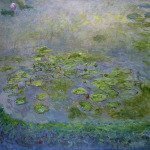 It fetched Monet 800 francs, a great amount for a struggling artist at that time. It features his first wife Camille Doncieux in a green dress. Camille features in several other paintings by her husband, including, Women in the Garden, and On the Bank of the Seine, Bennecourt. 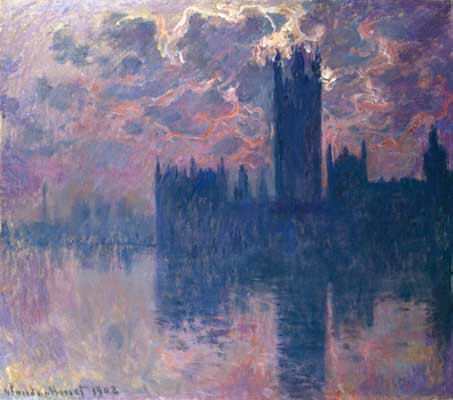 The painting is from the early period of Monet’s career when he painted in realist style as opposed to Impressionist. 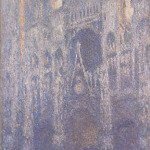 Monet didn’t intend to paint when he visited Venice in 1908 as it had already been depicted by numerous artists. However, during his visit he was entranced by the sights in the city and he called for his painting material. He began a series of preliminary works which he completed much later when he returned home. 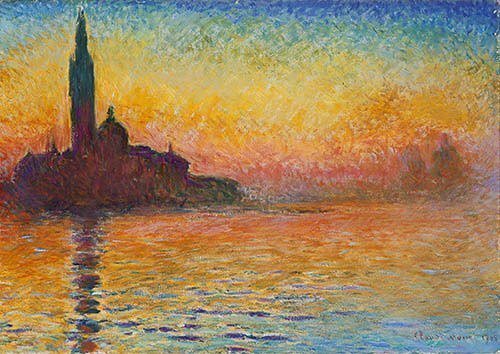 Among these was this painting which is also referred to as Venice at Dusk and which became one of his most popular paintings. It is noted for thin, light brushstrokes and masterful depiction of light and the movement of water. 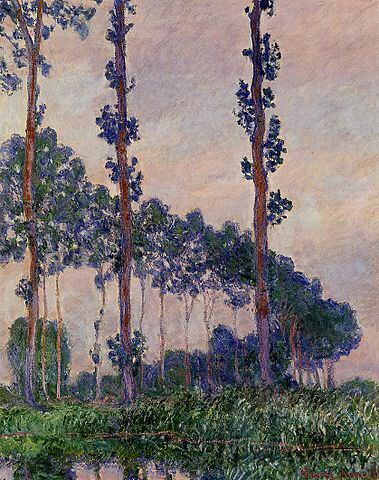 This famous series consists of 24 paintings of the magnificent trees along the banks of the Epte River, a few kilometers upstream from Monet’s house. A floating painting studio was moored in place and he reached there by a small boat. 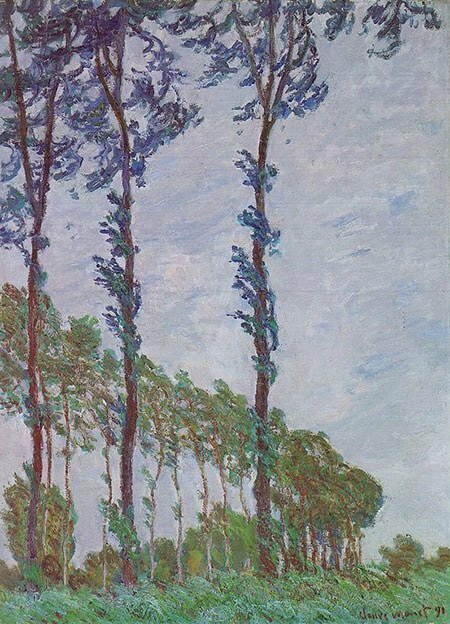 However, before he could finish the town wanted to auction and sell the trees, so in order to continue, Monet bought the trees and then sold them after he finished painting. 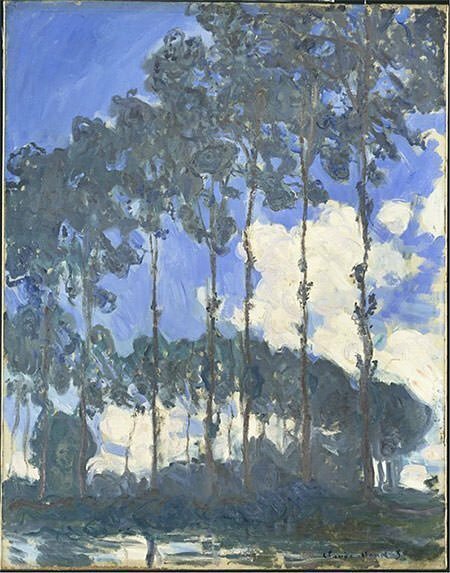 There were three types of groups for these paintings -first group was three poplars with an ‘S’ curve in the back; second group was a lot of poplars with an ‘S’ curve; third group were poplars with their reflections. 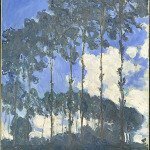 A crucial element of the paintings was the ‘S’ curve that was outlined by the top of the trees; although it made critics term the paintings too decorative initially, as time passed the ‘S’ curve became a highlight and selling point for the paintings. 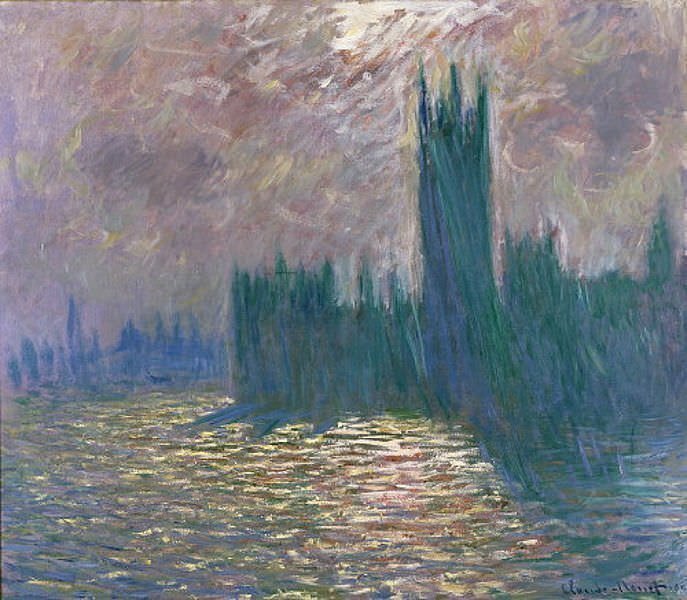 During his stays in London in this time period, Monet painted this series whose subject is the Palace of Westminster, home of the British Parliament. All the 19 paintings of the series are of the same size and depict the same scene from the same viewpoint but they showcase varied weather circumstances and varied times of the day. One of the paintings of the series fetched more than 20 million dollars in an auction in 2004. 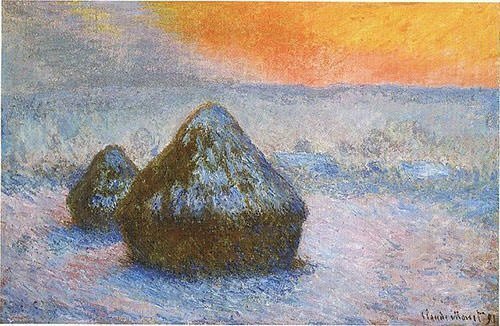 Among Monet’s most notable works, the Haystacks series primarily refers to 25 canvases that he painted in the above mentioned period. 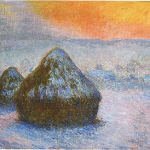 The subjects of the paintings are haystacks in the fields near Monet’s home in Giverny, France which he noted during a casual walk along the countryside. The series is famous for repeating the same scene to showcase differences in perception of light across various times of day, seasons, and types of weather. 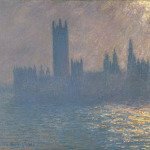 These paintings made Monet the first painter to paint so many illustrations of the same subject matter. 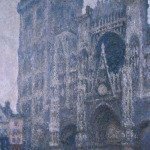 This famous series captures the facade of Rouen Cathedral in France at different times of the day and year, showcasing its changes with varying light conditions. 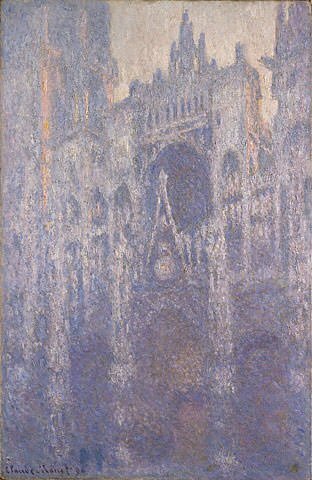 While studying these paintings it is noted that Monet broke painting tradition and cropped the subject so that only a portion of the facade is seen on the canvas. 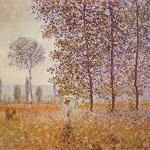 Painting the series was a difficult task for Monet. He wrote, ‘Things don’t advance very steadily, primarily because each day I discover something I hadn’t seen the day before… In the end, I am trying to do the impossible.’ He was, however, helped by his ability to capture the essence of the scene quickly and finish it later from memory. 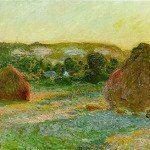 This painting is famous for giving a name to the Impressionist movement and has now become a quintessential symbol of Impressionism. 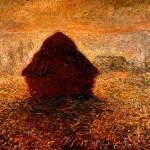 It was not well taken by the critics and the term Impressionist was coined in a satirical review by Louis Leroy in which he went to the extent of saying: “Wallpaper in its embryonic state is more finished than that seascape.” The Impressionist movement, however, soon became so popular that it spread to music and literature as well. The subject of the painting is the harbor of Le Havre in France. It is noted for very loose brushstrokes that suggest rather than define it. 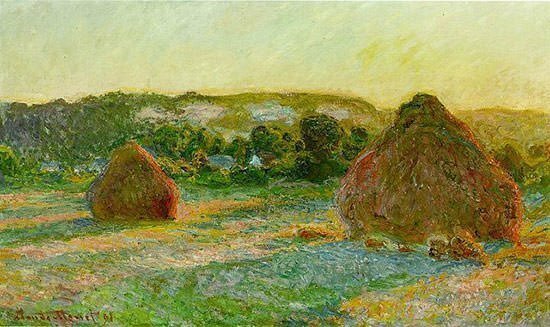 Monet uses color as the main factor to capture the very essence of the scene. 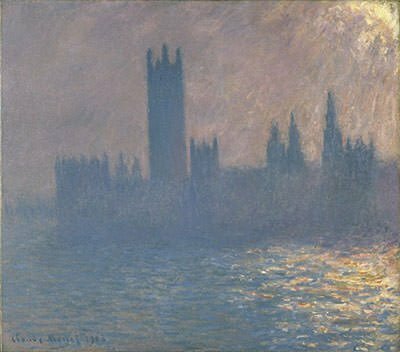 An interesting thing about this painting is that if you make a black and white copy of it then the sun disappears almost entirely. Monet’s series of the “Nympheas” have been described as “The Sistine Chapel of Impressionism”. 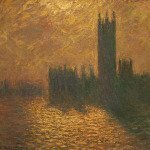 The series consists of approximately 250 oil paintings which were painted by Monet during the last thirty years of his life. They are now on display in museums all around the world. One of the paintings of the series was sold for 80 million at an auction in 2008. The dazzling complexity of color and light in the “Nymphéas” panels opens the viewer’s eyes to the incredible diversity of nature and to the depth and mystery of the life it sustains. 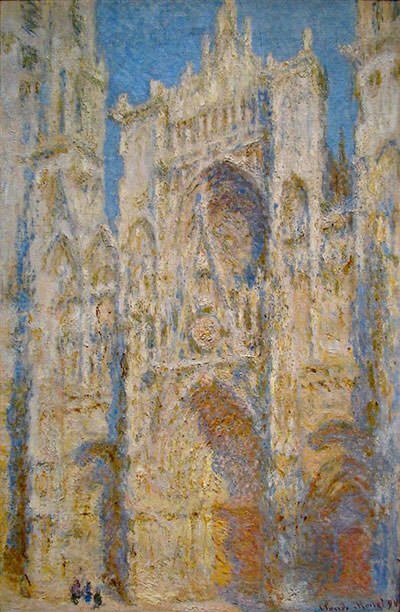 An amazing thing about these works is that Monet’s eyesight was badly deteriorating due to cataract while he painted most of these masterpieces. 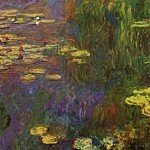 Giovanna Bertazzoni, Christie’s auction house director and head of impressionist and modern art, said “Claude Monet’s water-lily paintings are amongst the most recognized and celebrated works of the 20th Century and were hugely influential to many of the following generations of artists”. 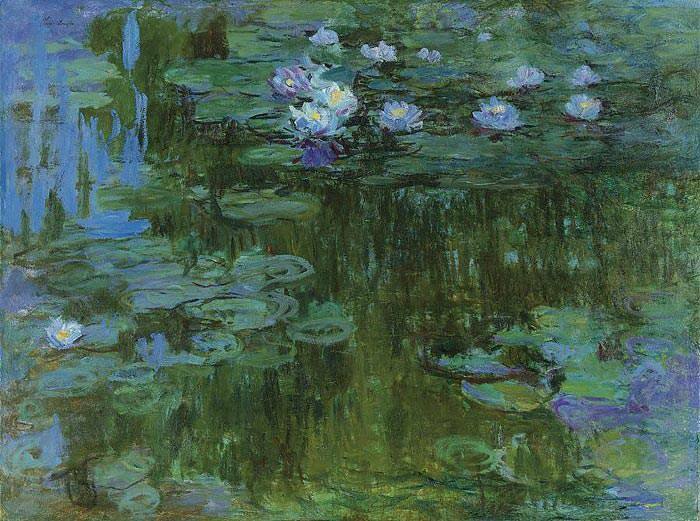 We have #1Water lilies from the private collection of Larry Aldrich, NY which we discovered in an attic trunk. We are not sure if it has any value. 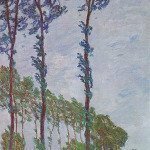 We also have GARDEN AT ST. TROPEZ by Paul Signac found in the along with the Monet from the collection of Larry Aldrich, NY. 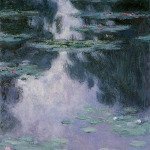 Hello, what ever happened to the #1 Water lilies painting? can i ask how many sunflower paintings does Monet painted? Hi Philip, I am not aware of the number of works of Monet which feature sunflowers, but he did paint a famous painting named Bouquet of Sunflowers in 1880. 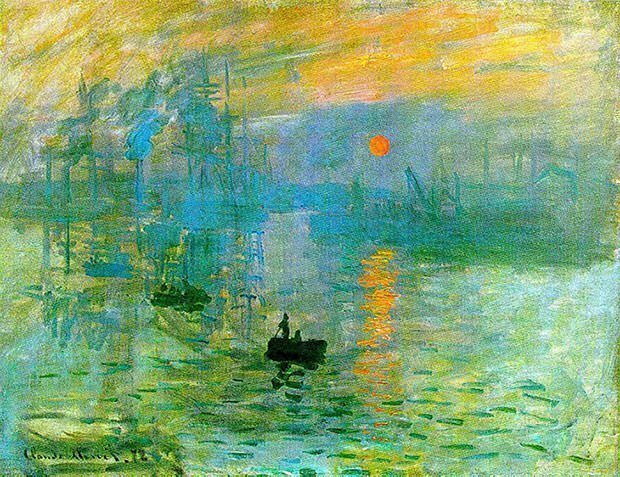 IM SO IMPRESSED WITH MONET’S PAINTINGS….. WHAT/WHO MAKES HIM DECIDE TO PAINT SUCH MARVELOUS WORKS???? Where is his bridge piece at? very helpful #not impressed (VERY NOT HELPFUL) #JUST KIDING!!!!! 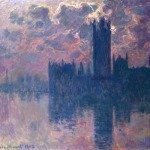 This is a great website if you’re trying to research Monet’s great works. Thank you for providing information on the many things I didn’t now about Monet’s magnum opus’.